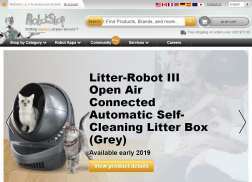 RobotShop is the # 1 robot store online that offers high quality robotics such as personal and domestic robots, professional and service robots, robot toys and robot books. Also offers robot parts, kits, tools and equipments. Get $5 off $75+ purchase. Get up to 99% off Black Friday Sale. Boxing Day Sale! Get up to 99% off 300+ products.